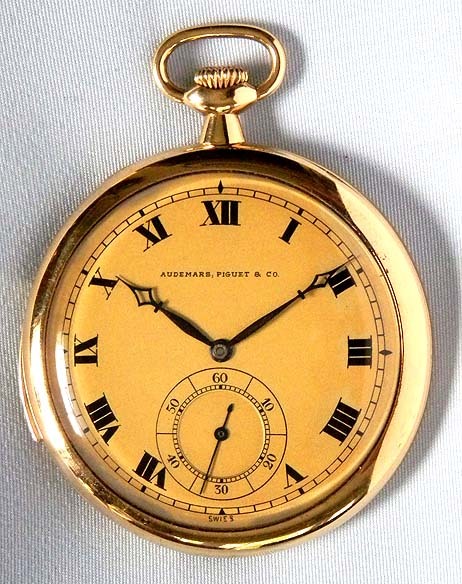 Fine, scarce, slim and elegant triple signed Audemars Piguet 18K gold ""Extra"" minute repeater antique " dress pocket watch circa 1911. 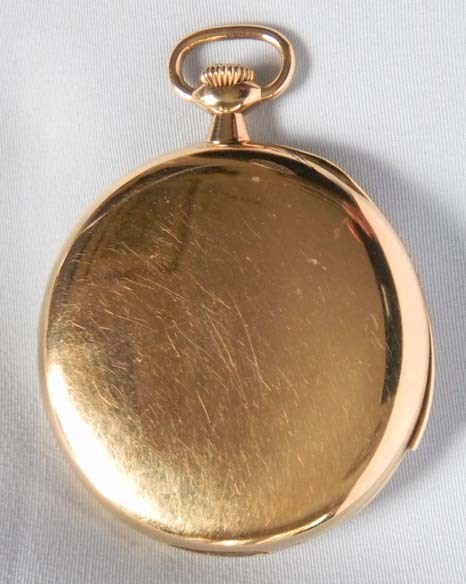 Fine gold dial with black markings and blued steel hands. 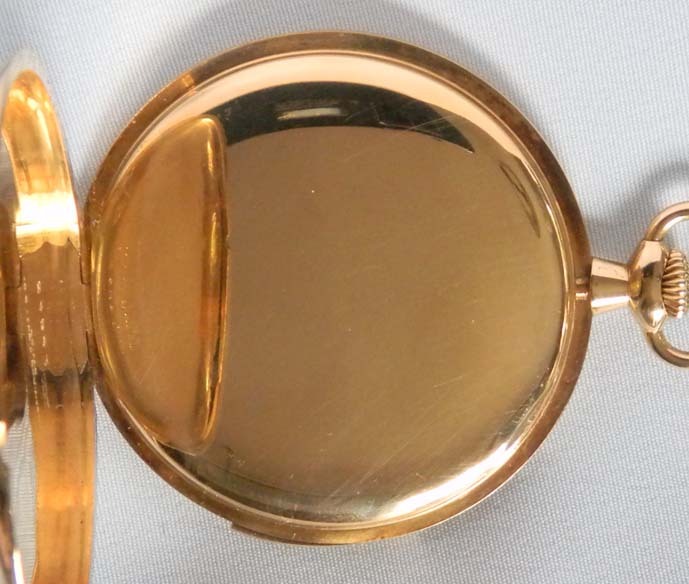 Slim plain polish case with recessed repeater slide in the band. First quality nickel 31 jewel 8 adjustment Extra movement jeweled to the center and the hammers. Particularly nice example. When activated this watch chimes the hours, quarters and minutes with 2 hammers on 2 gongs. Loud and clear tone. 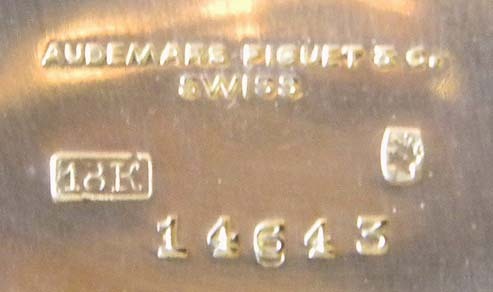 Many Audemars Piguet repeaters are unsigned by the maker. 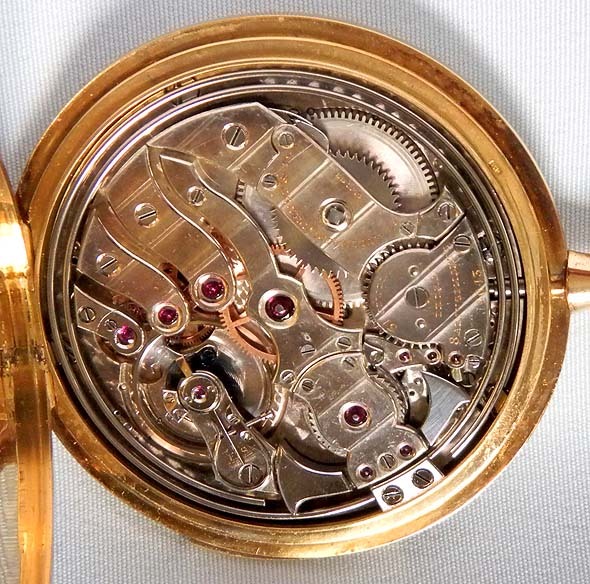 This example is signed on the dial, case and movement.